It’s a tiny, scruffy café in a back street of Agadir, but it’s painted in such an exuberant shade of blue that it takes my breath away. Opposite me is an intricately carved, huge wooden door and every time it’s opened the heady smell of incense wafts out enticingly. At one point a street vendor comes out to tempt me with a set of ruby red glasses, and after some fierce bartering they’re coming back with me to my stateroom on board MSC Armonia. Our cruise began and ended in Tenerife, taking in Lanzarote and Las Palmas en route. But the places which held a special appeal for me were the exotic Moroccan cities of Agadir and Casablanca. 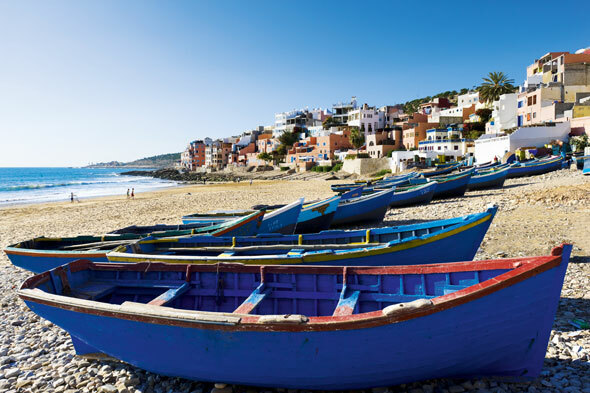 With its well maintained, 10km-long sandy beach, Agadir is the top seaside resort in southern Morocco. It’s also the world’s premier port for purveyors of sardines. Millions of tons are sold on the buzzing port, with pop-up stalls feeding hordes of busy Moroccans and a few intrepid Westerners. The air is filled with the fierce smell of sizzling fish over makeshift barbeques, without a mention of ‘health and safety’. It’s a fascinating contrast to the more modern, sophisticated city centre and made a dynamic start to our tour. From the frantic atmosphere of the port, we drove into the silent Atlas mountains to reach the ruins of the ancient kasbah. This 16th-century fortress no longer has crenellated ramparts (a casualty of the 1960 earthquake that destroyed 90 per cent of Agadir) but it commands imposing views of the bay and the rebuilt city. Inevitably we were also offered close-up views of assorted camels, but their owners aren’t too insistent if you don’t fancy a ride. Agadir lies on one of the most fertile plains in Morocco, and on our next drive south to the suburb of Inezgane, our guide Ahmed pointed out the Argan trees that grace only this region. Now under Unesco protection, these trees – their fruit produces the prized Argan oil – are dwindling in numbers, making it one of the rarest, most expensive oils on the market. Goats famously climb the gnarled trunks to perch in the branches for a spot of lunch. It’s a surreal sight. I’ve visited a few souks on my travels, but Agadir’s Souk El-Had takes the proverbial biscuit (cardamom of course). A riot of colour, its 3,000 stalls sell everything from musical instruments and old-fashioned mannequins, to fresh fruit and leather slippers. We threaded our way past clothes, ceramics, piles of pungent spices and iron railings crafted before our eyes. 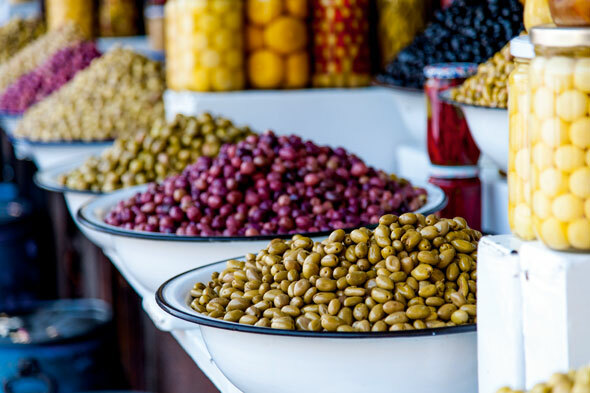 It’s a real market, for locals not tourists, offering the visitor insights into the Berber way of life. Then on to the Herboristerie Malak in Rue Al Koufa to purchase some pure Argan oil for ourselves – one of Morocco’s best souvenirs since it’s much cheaper here than at home. It comes in two grades: culinary and cosmetic, and I can vouch for the anti-wrinkle powers of the latter (it’s known as liquid gold). Back on board I continue nourishing my skin with a session in the Aurea Spa. The menu of treatments is attractive, including a new generation of massages. I chose a fragrant candle massage, using organic, gently melted candle wax administered by Sari, a lovely Balinese masseur. Fifty minutes later I came away feeling soothed, pampered and with skin as soft as butter. My confidence rising, I booked a salsa class with Victor, an MSC trainer who also gives yoga, Pilates and dance classes. There are daily merengue, tarantella and bachata classes onboard, so everyone can strut their stuff in true Latin style. Our next port of call was Casablanca, immortalized by Bogart and Bergman, and the largest and most cosmopolitan city in Morocco. There are elegant, sensitively-restored French colonial buildings alongside upmarket shops, nightclubs and galleries; driving around feels a bit like being in Paris. 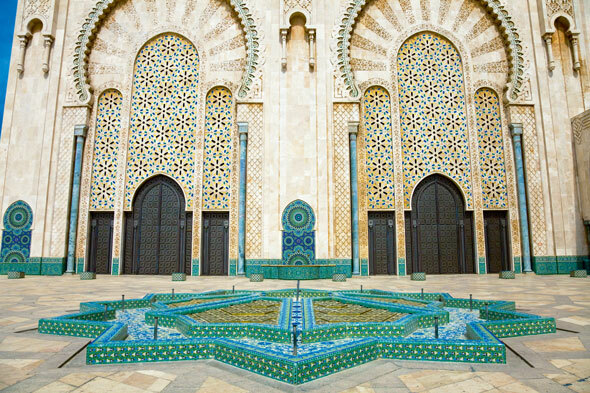 Casablanca’s highlights are the Cathedral of Notre Dame de Lourdes and the magnificent King Hassan II Mosque, one of the largest in the Islamic world. Inside, 25,000 worshippers can congregate while its huge courtyard accommodates 80,000. Boasting the tallest minaret in the world, a wealth of carvings and a wonderful ocean-side location, it is both awe-inspiring and peaceful. The ship offers a tour of Casablanca by night, where the fountain in the Mohammed V Square (the nerve centre of the city) comes alive with a spectacular sound and light show. I opted for an equally impressive show on board in the Teatro La Fenice. 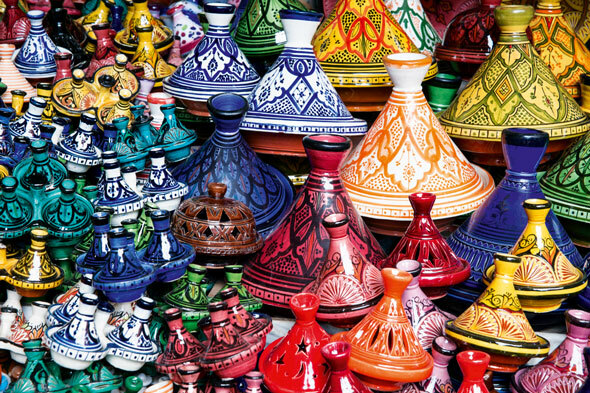 An eight-night cruise on MSC Orchestra, round trip from Genoa calling at Malaga; Lisbon; Casablanca; Morocco; Barcelona costs from £499pp departing on 7, 15 and 23 April 2014. For more info go to msccruises.co.uk or call 0844 561 1955.